Located towards the South of France, in the heart of the countryside between Toulouse and Montpellier, Trebas les Bains is the ideal place for holidaymakers wanting to immerse themselves in the stunning landscapes of France. Along the beautiful winding River Tarn, and just over an hour and a half drive from the historic city of Toulouse, guests can also immerse themselves in a wide range of activities and amenities during their stay. For a taste of the French seaside towns head to Sete, Agde or Montpellier, which are also just over a two hour drive away. Summer France' Residence la Marquisie is the ideal place to enjoy a quiet and relaxing holiday in the peaceful serenity of this stunning landscape. Here guests can enjoy self-catered accommodation with a balcony or terrace overlooking the landscape and cosy apartments that blend in with their stunning surroundings. For a truly relaxing experience guests can also enjoy use of the large swimming pool, sauna and the hydro jet pool. Trebas les Bains is the place to simply unwind, relax and make the most of the stunning French countryside. 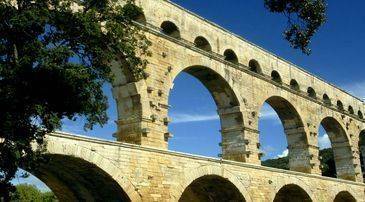 The area is scattered with national parks just waiting to be explored, including the Parc Naturel Regional du Haut Languedoc and the Parc Naturel Regional de Grands Causses. Both of these natural parks are within a 15 minute drive of the resort. Here guests can enjoy a wealth of activities, including mountain biking, walking and horse riding. Renting a car is the best way to get around, with so many small local towns to be explored, as well as mountains, valleys and forests. Around the town of Trebas les Bains there are plenty of activities to be enjoyed. These include tennis courts with professional coaches on hand for lessons, football pitches ideal for those travelling with children, and mini golf, which is perfect for the whole family to join in with. Alternatively, make the most of the beautiful River Tarn, which is almost on your doorstep at the Summer France property. Here visitors can enjoy canoeing, fishing and swimming in the crystal clear waters, without having to worry about chlorine, salt water or other chemicals. And for those who love animals there are even donkey rides in the village. Those wanting to immerse themselves in the culture of Trebas les Bains will find plenty to keep them occupied here. The market is open every Sunday morning and offers its visitors a taste of some of the delicious French produce sold in the area. Choose local honey, cheeses, cider, as well as bread and cured meats. Alternatively, the Tarn gorges are ideal for keen hikers and walkers, while Trebas is also home to some gorgeous ancient spa baths where guests can relax and unwind. If you prefer to spend a day or two in the town, Toulouse is within two hours' drive of Trebas les Bains and provides the perfect opportunity for guests to immerse themselves in some of the fascinating art, history, food and culture of the region. Visit the three top tourist attractions during a day trip for a taste of some incredible French architecture: the Basilica Saint Sernin is a World Heritage Site demonstrating beautiful ecclesiastic gothic building work, while Place du Capitole is an awe-inspiring square surrounded by red brick buildings made using the fertile soil of the area. The Church of Les Jacobins is also worth a visit for its peaceful, bright interiors. After all that sightseeing make sure you take in some of the delicious restaurants and bars which are dotted throughout the city. Some of the best can be found in the Place du Capitole. For further day trips, guests can head to the Castles at both nearby Brousse and Ambialet, where there are often medieval themed events with dancing, delicious traditional dishes, games and more. 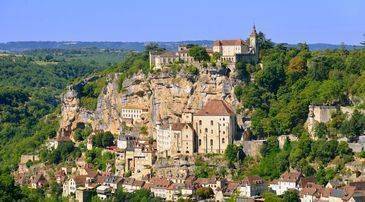 Villages in the local area where guests can enjoy an insight into the quiet life of the locals include Brousse le Chateau, Villeneuve sur Tarn and Ambialet. 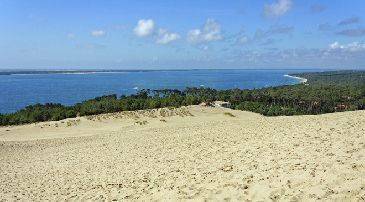 And if the seaside is on your list, there are plenty of towns just over two hours' drive from Trebas les Bains. Sète offers stunning architecture and canals filled with boats, perfect for those wanting to try water sports, while Agde is home to a pretty beach with shallow waters ideal for those travelling with children. This area of south west France is well-known for its cuisine, with delicious local produce served up by most of the restaurants, as well as fine French wines. There are some good bars, restaurants and cafés in the town itself, with some amazing dishes to be tried. Visitors can enjoy Source, which is a bar and restaurant serving some classic French dishes. The Guinguette Trebas is located on the banks of the River Tarn, with picturesque views as you dine. Here guests can enjoy melt in the mouth grilled meat and fish dishes, crisp salads and fine French wine and cider to wash it down with. The Relays du Chasteau is in a beautiful stone building and offers traditional French cuisine as well as a traditional atmosphere. The evenings are quiet in Trebas les Bains, with only a very few bars on offer. Most of the restaurants, however, offer a bar and serve up delicious French drinks, staying open until late after dinner. Most of the bars will close by midnight, but there are plenty of opportunities to enjoy a drink on one of the terraces with friends, or a relaxed drink at your accommodation. A taste of the locally produced cider is a must, as is a bottle or two of some of the wines. Trebas les Bains is a small town, meaning there aren't many childcare facilities on offer. Most of the locals in the town will be happy to point you towards a trusted babysitter, while there are plenty of activities the whole family can enjoy together. Because of its size most of the parking around Trebas les Bains is free, with plenty of spaces available. Most restaurants have their own car park, and Summer France' Residence la Marquisie also has onsite parking available to guests. Natural environment, breathtaking views of the valley. Large indoor pool, lovely view from the terrace / solarium, sauna.